(left to right) Former OSU President James Halligan (seated) and OSU alumnus Ashleigh (Hildebrand) Ross were special initiates into the honor society who joined President Burns Hargis (seated) for the ceremony. Ross delivered an address to the new student members during formal ceremonies at OSU. 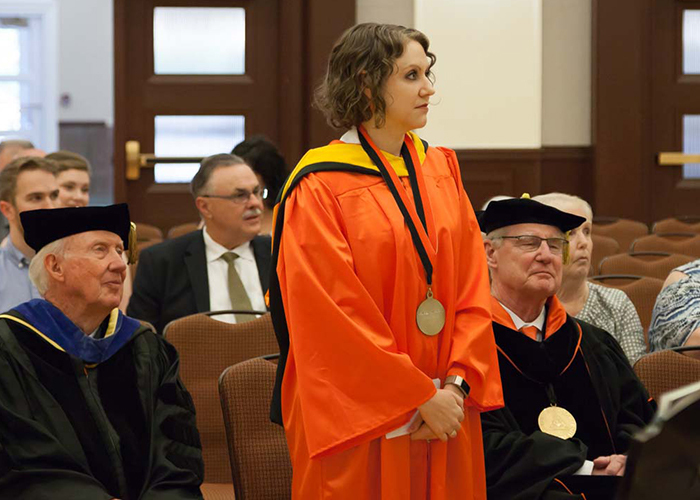 The Phi Beta Kappa chapter at Oklahoma State University initiated 29 new student members, former OSU President James Halligan and alumna Ashleigh (Hildebrand) Ross, during its sixth annual induction ceremony held recently in the student union ballroom. The chapter, known as Gamma of Oklahoma, was founded in 2013. Halligan served as OSU’s 16th president from 1994-2002 and emphasized student success, improved retention and graduation rates as well as scholar development. 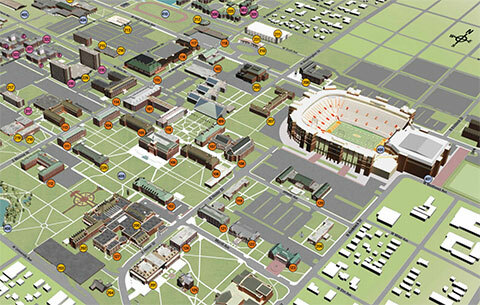 OSU was named a Truman Honor Institute during his tenure and he established a special hall to honor OSU scholars. Following his retirement, Halligan served two terms as a state senator. He received his bachelor’s, master’s and doctoral degrees in chemical engineering from Iowa State University. He was inducted as a non-alum special candidate. Ross, who delivered an address, “Finding My Why,” at the induction ceremony, currently serves as portfolio lead overseeing carbon capture, utilization and storage for BP (British Petroleum). She also worked several years for ConocoPhillips. Ross graduated from OSU in 2005 with a chemical engineering degree and earned a Gates Scholarship to attend Cambridge where she received a master’s degree in environmental policy followed by double master’s degrees in chemical engineering and technology policy at the Massachusetts Institute of Technology. OSU students, usually juniors or seniors who have a first or second major in a liberal arts discipline, qualify for membership in the nation’s oldest and most prestigious honor society upon election by the local Phi Beta Kappa chapter. The chapter’s selection committee first reviews each student’s achievements and academic grade point average (3.7 or higher) after at least 90 hours of liberal arts courses. The course review must demonstrate the student’s breadth as well as depth of study and include at least 15 hours of foreign language as well as proficiency in mathematics. For more information on the Phi Beta Kappa chapter at OSU, email Dr. Perry Gethner at perry.gethner@okstate.edu.